Taronites • View topic - Sketch #000015 - "Dream Symbolism"
Sketch #000015 - "Dream Symbolism"
I think "The last dream you remember" would make the topic even more fun to paint. It's stunning to see your "dream come true", so to say! There are quite a few websites of that nature. I'm sure you'll find some good inspiration for the Subject of your sketch...but my suggestion would be to look INSIDE yourself and not google! Once you've done that and you found some images of your own real dreams, you could use the dictionaries or google to continue the research. I think that would be a nice opportunity to truly visualize a dream of yours or something personal that could be useful for you to explore! Re: Sketch #000015 - "Dream Symbolism"
Please, do not ask me why, but last night I've dreamed of a black cat with an afro... ...and it looked almost exactly like that! I doubt one can find that in a dream dictionary, but...eh... ...there it is! I have an Olympic swimming pool reccurent dream in my brain! Last edited by Pilou on Wed Jun 13, 2018 11:18 pm, edited 1 time in total. That one gives me nightmares of a slice of dissected rainbow-bunny! ...still curious about that olympic swimming pool dream! When sleep surrounds you with its black clouds, dreams are your light in darkness. 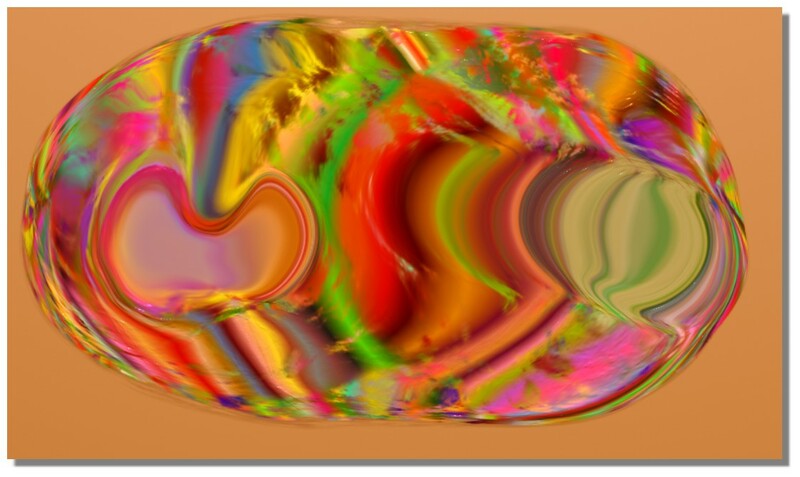 This just happened and I thought it would fit in here, even though its abstract. I absolutely love the folding highlights of the black "fabric of sleep" around the dreamy light! Here is my re-occurring dream: Often, I'll find storms brewing and I'll find myself amidst falling pine tree with the specter of a major tornado in the vicinity. Sometimes there will be many tornadoes at one which could rarely happen in nature but look spectacular in the dream. 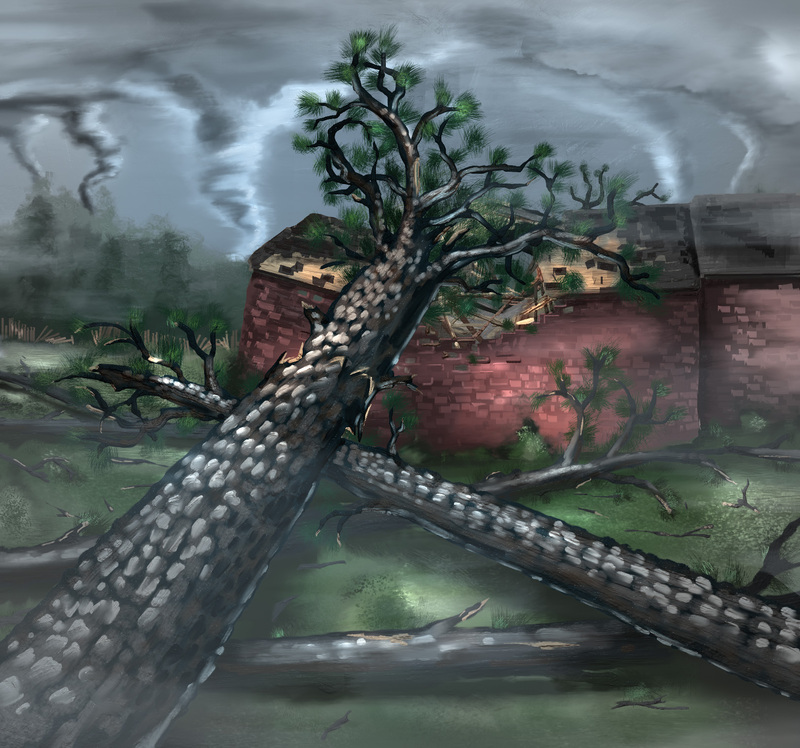 Falling trees and tornado can often represent change to come. These dreams started after the big winter storm ("of the century") in '93 where a tornado passed over destroying part of my house and completely smashing the house next to me. One dream I had involved witnessing maybe a dozen very large water-spouts and tornadoes over an ocean, and each were different colors and shapes... some forking into multiple branches. I a few months I began my graphic design career! BTW... if a tree is old, rotten and crumbles apart in your dreams, it may represent an imminent death of a loved-one. Oh, and I loooooove that Afro-Cat! He should be a mascot. Maybe that dreams means that you will enjoy the success of masterminding a grand plan of funk-a-liciousness, ya dig? Isn't it hilarious that cat, hahah! ...I think I was even laughing in my dream after some initial amazement! Yeah, I have had a fair share of apocalyptic dreams, one of which I've tried to paint at some point. They are a little less imaginable than yours and your translation is excellent from what I can tell!? Great! In my dream I see people at the beach, some are playing in some elaborate playground fortress, while other families are enjoying the day as on the horizon the clouds are being sucked down behind it and people stare at it before panic strikes and they all try to run inland. That was several months before the big tsunami, actually...just a little btw. The other was maybe even wilder, where suddenly gravity would fail and the atmosphere dissolved and even though it was day the blue of the sky disappeared into a night sky. All things started to tumble upward and fly, including all people, of course and myself. But then gravity came back midway into where the clouds had been and I would navigate myself around not to hit the ground straight down. I would fly through a cave full of crystals and gem stones in all colors and in there a homeless looking eremite would sit and look at me as if it was ok to fly through his cave. It meant nothing but shelter to him, despite all the sparkling in all colors all around him. I would fly through and come out the other end where there was a village in kind of a golden hour sun and people started to find themselves again. Peaceful, normal, beautiful and kind of loving, regardless where anyone came from, everyone was family...this sort of atmosphere. All was beyond well. I don't think I'll ever even try to paint that one, hahaha!